This crowdfunding project has ended, but you can still support Tufts Elephant Conservation Alliance here. Thank you for your continued support! Time is running out. Every day in Africa around 100 elephants are killed. If elephant loss continues at current rates, wild elephants will be extinct within a decade. Losing the African elephant would have particular resonance for Tufts. The elephant – its strength, emotional depth, loyalty, and sheer awesomeness – is our mascot, our guardian pachyderm, and our Jumbo inspiration. The Tufts Elephant Conservation Alliance (TECA) has launched a groundbreaking new project, utilizing drones for elephant conservation. But we need your help! Reaching our crowdfunding goal will allow us to purchase SDR solo drones to protect and track endangered elephants. 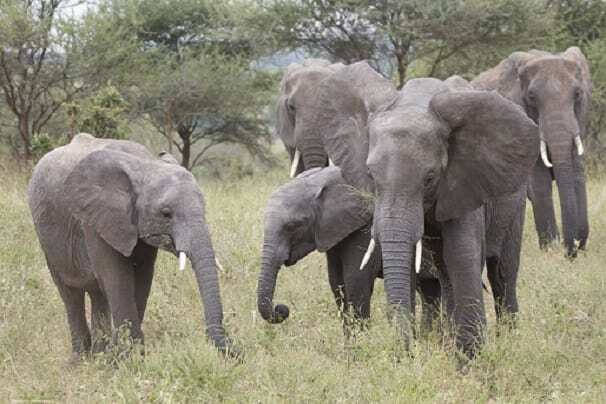 These drones will enable Tufts’ students and researchers to monitor elephants, collect enhanced visual data for identification, map elephant populations and alert rangers to the presence of threats. But, we can't do this without your help! Proud Jumbos know that Tufts University is uniquely positioned for such a challenge. Conceived by Dean Karen Panetta in the Vision and Sensing Systems Laboratory within the Electrical and Computer Engineering Dept, implemented by student software engineers, and aided by faculty members from across our campuses, this multidisciplinary project could only happen at Tufts. Tufts was the first university in the nation with an elephant mascot – we have a legacy commitment to protect this species. Please join us today – Jumbos for Jumbos – to protect elephants from extinction. This allows us to replace damaged propellers which can cause excessive vibration. Purchase the 3DR battery chargers necessary for adequate flight time/range. A DBS range extender antenna will allow far greater flight range without losing signal reception. Add a 3-axis gimbal to the equipment which will stabilize and smooth the panning and gliding features of our drone’s camera. A thermal camera on a drone can gather accurate, non-contact temperature measurements and distinguish sick from healthy elephants.